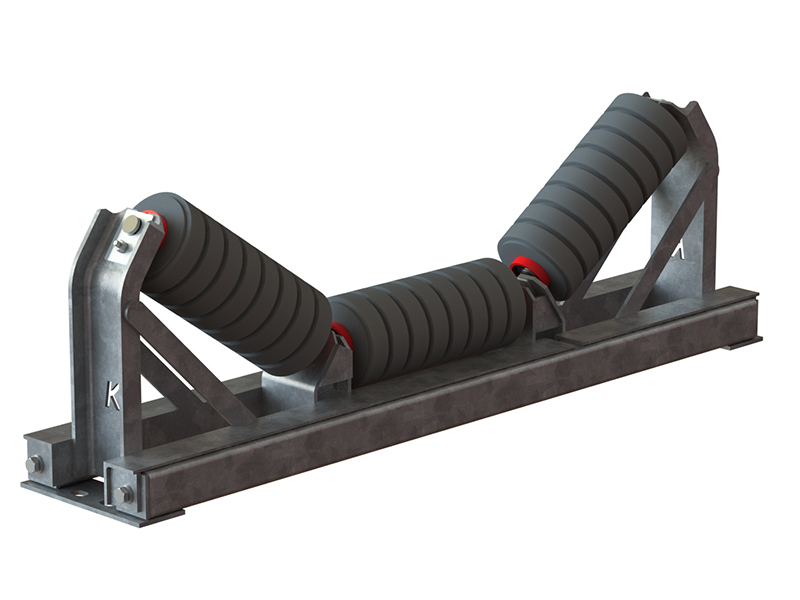 Designed and engineered by Kinder Australia, the K-HD Retractable Impact Frame delivers full & superior conveyor belt support where it is most needed, at the critical conveyor transfer point. The K-HD Retractable Impact Frame is applicable for all diverse bulk materials handling industries, including the toughest quarrying/mining applications and fills a gap in the market for an offset frame that is highly effective and impact resistant. The K-HD Retractable Impact Frame is designed to replicate the offset profile in a stronger inline format such that it suits most standard systems. 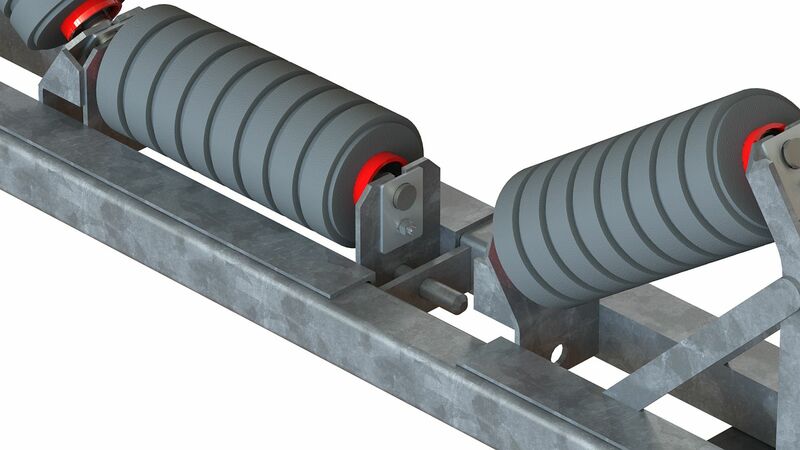 The main advantage of this replication means the belt profile is kept uniform, this consistency translates to longer belt wear life as well as improving conveyor belt support at impact load zones. 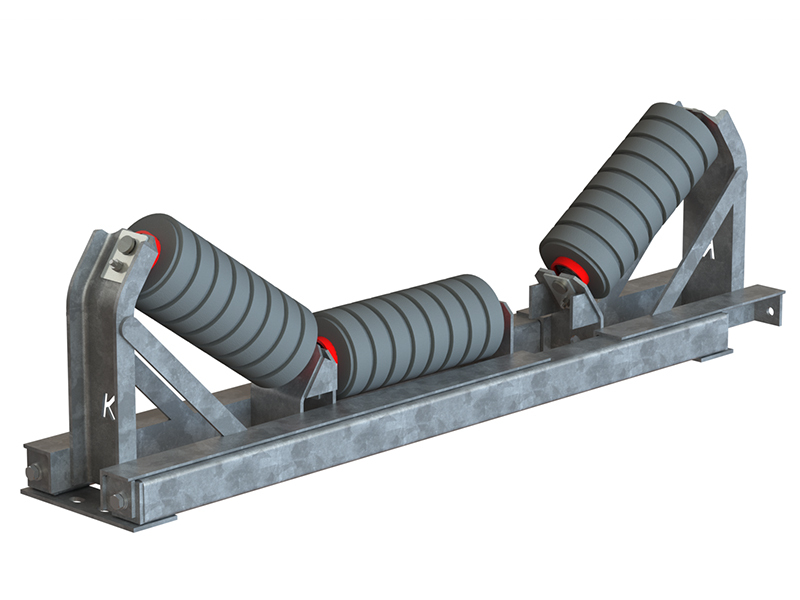 The K-HD Retractable Impact Frame is ideally suited for use as a lead in frame to a cradle or other conveyor belt support systems where the transition doesn’t exist, i.e the transfer is close to the tail drum so the lead in roller can absorb impact effectively. Stronger frame system due to centrally located rollers and dual transoms. Pin at the retraction break in the frame secures the top part to ensure it doesn’t rebound after impact. This product is available in any belt width, any angle, and any profile. Flexibility to scale up for belt width applications greater than 1200mm. Cost effective and viable alternative where impact bars are not suitable. Easy maintenance due to the system’s retractability and accessibility from either side, particularly in tight locations. Ability to act as a retractable K-Sure® Belt Support System where the positioning of brackets in the wings allows the slider rails to easily retract out.